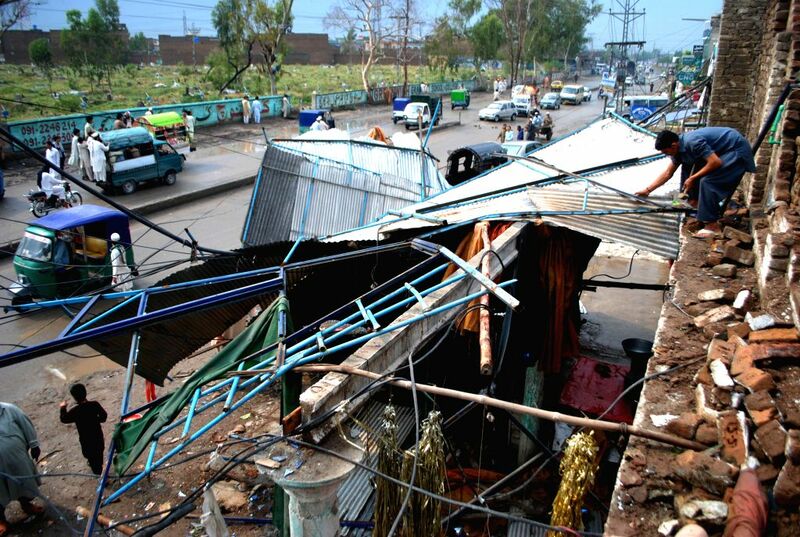 LAHORE, April 28, 2015 - A man examines his damaged shop after heavy rain in northwest Pakistan's Peshawar on April 28, 2015. At least 30 people were killed and 150 others injured in separate rain-related accidents in Pakistan's northwest Khyber Pakhtunkhwa province on Sunday, local media reported. 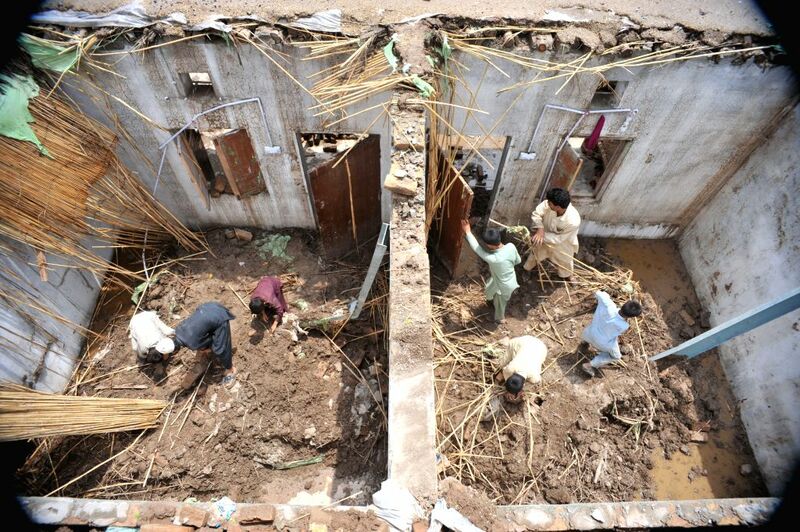 Residents examine their damaged homes after heavy rain in northwest Pakistan's Peshawar on April 28, 2015.